3 Bedroom House For Sale in Chatham for Guide Price £250,000. Set in the ever popular location of Lords wood a beautifully presented three bedroom end of terrace mews style house with allocated parking available now to the market. 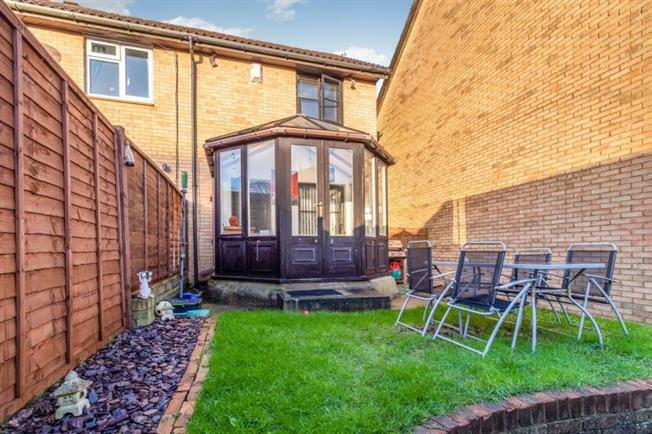 The property has been continuously improved by the current owner and now has the benefit of a conservatory over looking the rear garden. Location is fantastic as the property sits in a nice quiet Cul De Sac. Perfect for a family looking for a quiet area to live in. There are local schools nearby too. So book a viewing now to avoid disappointment.